We provide nonprofit, sustainable housing; empower people to create democratic cooperatives; and strengthen our community through shared resources and education. We are a 501(c)3 social benefit organization. We envision a strong and diverse network of cooperative housing throughout Kalamazoo that addresses the needs of low-income residents, supports the local community, and exemplifies sustainable living. Kalamazoo Collective Housing will take an active role in continually expanding cooperative housing opportunities in the city. KCH is structured as a cooperative – residents control the governance of the organization. Eight residents and four non-resident community trustees sit on our Board of Directors. The Board oversees budgeting, staff, policymaking, and expansion. Through our democratic structure, we empower residents to make key decisions about their housing. With this responsibility comes commitment and shared ownership. Developing stable affordable housing: Our housing costs are at or below market rates. Serving the needs of low-income residents is key to our work. By making cooperative ownership available to a wide range of people, we are fostering a more stable community in areas dominated by homes owned by absentee landlords. 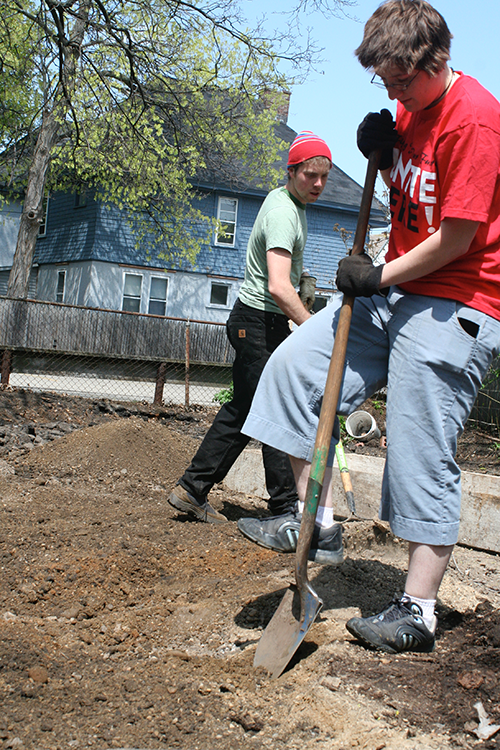 Building leadership: Residents gain concrete skills during their time at our co-ops. In addition to teaching financial, maintenance, communication, and teambuilding skills, we develop strong leaders in the community. These leaders go on to start new programs, volunteer their talent, and remain engaged in Kalamazoo. They also walk away prepared for individual homeownership. Supporting local business: We strongly support local business and agriculture. Annually, we spend tens of thousands of dollars locally, which keeps resources circulating in the community. We prioritize purchasing from local vendors and producers. Sustainability: Environmental and economic sustainability are critical in both serving our community and prospering as an organization. We strive for energy efficiency, find creative ways to reduce consumption and waste, and educate our members and neighbors about the importance of sustainable practices.